We all still carry the scars of the grizzly bear market that ran from October, 2007 to March, 2009. It will be etched into our investment consciousness for some time, which is a good thing if we choose to rededicate ourselves to the goal of building long-term family wealth. I believe the worst of the bear market and the economic recession is mostly behind us. Economic activity is picking up nicely, and job growth will follow in the months and years to come. This recession was a 2-1/2 year demonic slide, and it will probably take nearly that long to dig ourselves out and return our economy to full employment again, which is generally defined as an unemployment rate of about 5-percent nationally. We are currently just a tick below 10-percent. The Federal Reserve is taking the first steps toward tightening relaxed monetary policy to prevent price inflation as the economy and the employment picture improves in the United States and around the world. The discount rate rose a quarter-point and all the signals are for continued rising rates as the economy strengthens. For these reasons, and the ones that follow, I believe we are in the heart of a bull market rally that will likely continue for several years into the future, if not even longer. A simple reversion to the mean in stock prices would be a rise of nearly 40-percent from existing market levels for the average company in the S&P 500. Many companies are starting to report rising earnings from operations that have been generated from top-line (sales) strength, rather than earnings generated from cost-savings and job cutbacks. This is a big positive indicator of things to come. In addition to top-line revenue growth, American business has rung much expense excess out of their profit-and-loss statements. This should provide for many upside-earnings surprises in 2010 and 2011. States are starting to see modest increases in some tax revenue streams, particularly in sales tax, and property taxes are stabilizing as most of the depreciation in the market value of housing stock has already been realized. Companies that have been running very lean-and-mean inventories are now having to restock more often and to higher levels. This will help the manufacturing sector in 2010 and beyond. The federal government fiscal stimulus for 2010 is large and growing larger. Yes, I lamented the size of the President’s proposed budget deficit as too much for our rebounding economy in last week’s column, and I still hold to that position. That said, the fiscal deficit spending stimulus will still have a short-run positive effect on economic growth and employment until we reach full employment, which as I said earlier may take a couple of years. Take the bull by the horns. If you have been on the sidelines waiting for some normalcy to return to the markets, I think this is a good re-entry point for you. Market-timing is generally folly, but if you have taken some equity weight out of your portfolio, I think it is time to saddle up that bull and ride again. Geoff Williams is a financial writer who has interviewed Dan Danford a few times for pieces that he's written. 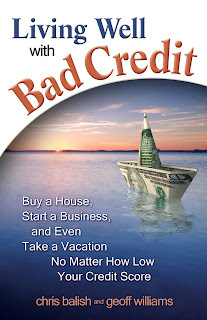 Geoff has been posting recently on blog that promotes his new book, Living Well with Bad Credit. Dan's quoted in the book. As many of my friends and colleagues begin their retirement journey, I am often asked about key areas for successful planning. This bedrock advice is essential to securing a long and happy financial life away from the daily grind of work – a glorious time to be alive. You must match your spending with your means. I am familiar with more than one case where a new retiree goes a little crazy with spending. A vacation here – a condo there – a couple of gifts to the kids and grandkids, and suddenly, we’re running out of money. Not a good situation to say the least. It is well documented that newly minted retirees do spend more money during their first years of retirement while health is good and that list of “stuff-I’ve-always-wanted-to-do-but-never-did” is fresh and exciting. Nothing is wrong with this, just make allowances for the higher spending level and adjust your asset drawdown accordingly. If you have your house paid for and can meet most of your monthly bills with Social Security and other annuity or pension payouts – that is fantastic! Just be sure to keep your invest-able assets growing during retirement to counteract the effects of inflation. After all, many folks today are living as long in retirement as they spent as a worker bee. A three or four decade retirement is becoming the norm. Enjoy, but stay within your means. 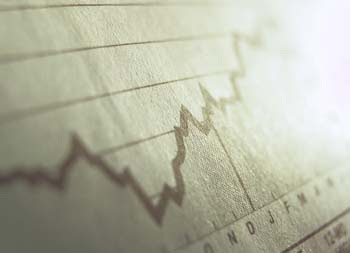 You and your spouse will need to make decisions about the timing and amount of distributions to draw from various retirement plans pools of money. If you are fortunate enough to have a traditional pension, you must decide if you want payments to end with your death, with the death of your spouse, or some sort of reduced benefit amount regardless of who dies first. From an actuarial standpoint, as my partner and founder of Family Investment Center, Dan Danford, taught me, these options are all equal. The amount of money you will receive as a pension benefit is determined based on your life expectancy, your spouse’s, and the benefit payment scheme you select. There is no better or worse option – the selections have identical risk/reward characteristics. What does make a big difference is how your pension benefit choice fits in with other annuity payments, like Social Security, and your lump-sum retirement accounts – 401(k) rollovers, Traditional IRAs, Roth IRAs, and any additional savings you have accumulated. 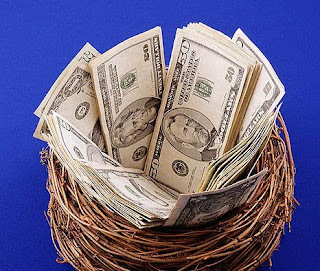 If the total of your lump-sum retirement accounts exceed $100,000, your best bet is to seek out professional investment management to help ensure you do not outlive your nest egg. Most folks have never had the experience of managing that much money, particularly when their lifestyle now depends on those funds. A good attorney would never manage litigation in which s/he is involved as plaintiff or defendant – emotion and personal interest can cloud good judgment and dispassionate decision-making. The same principle holds true for large retirement accounts. Rely on trusted financial professionals to make sure your interests are protected. Dan Danford regularly podcasts for Dad's Divorce.com, a web site for men going through the divorce process. This week, he fielded a question from a viewer about buying a home with inheritance money. We want to thank the Kansas City Star's Dollars and Sense blog for bringing this great editorial to our attention. Thomas Hoenig of the Kansas City Federal Reserve wrote a great piece published in today's New York Post on why the U.S. must reduce its debt. You can read it here. It's a well-written piece that makes his point. As education becomes more expensive, it stands to reason that student loan debt would be climbing. We ran across this story today about a female doctor who now has more than a half-million in student loan debt. What many people don't realize is that student loan debt is tough to get out of - bankruptcy won't clear it, and it's not tied to any particular asset that you can sell or give back to the creditor, as you might do if you got in over your head on a house. In this particular story, the doctor notes that if she pays off the loans according to the schedule, she will be 70 when the debt is paid up in full. Wow. If you have children, it would be a wonderful gift to help out with their education. With the cost escalating, it will be increasingly important. One of the largest population groups out there that gets a lot of ink is Baby Boomers. That's everyone born from 1946 to 1964. This group is often spoken of as a single generation, and financial issues are lumped together for this group. But really, that doesn't make much sense. The group spans nearly 20 years, and their needs can vary widely. Here's a nice piece on Yahoo! Finance about the needs of Baby Boomers and the issues they're facing. It has some solid advice. As we always recommend, a good, fee-only financial planner is essential for meeting long-term goals such as retirement. Paying for college is one of the most daunting financial challenges parents face. It can be done, but it takes strategy and patience. Dan Danford reviews the best steps to take and some of the vehicles available to parents (and grandparents) in his latest podcast for Dad's Divorce. For those of us in a haze of emptiness now that the National Football League season has come to an end, I wanted to share a fun summary I ran across in my research activities entitled “NFL Alphas 2009-2010” from Analytic Investors. 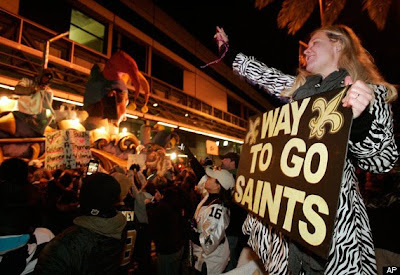 Dr. Steve Sapra and Lisa Bosley authored this study which defines a positive-alpha NFL team as one that exceeds market expectations by winning games which most folks think they should lose. Thus, the teams with the highest positive alphas are those who record the most upset victories based on measured legal wagering activity. During the regular season, 14 of the NFL’s 32 teams earned positive alpha returns, led surprisingly by the hated Oakland Raiders. The Raiders were only favored in one game this year, the epic Futility Bowl against the beloved Kansas City Chiefs – and the Chiefs won! Oakland recorded 5 unpredicted upset wins on the year, earning the highest alpha ever recorded in the history study. Disappointing fans and earning the lowest negative alpha returns were the underachieving Redskins, Lions and Rams. Historically consistent winning squads, like the Patriots, Giants and Ravens, ended the regular season with negative alpha returns as they lost to several teams they were heavily favored to beat. We can learn some important financial lessons from human behavior in this study. People have a tendency to chase last-year’s winners, much like in investing. It appears that even in football prognostication, past performance is no guarantee of future result. Behavioral finance has proven that the one of the biggest barriers to reliable long-run investing strategy is our own psyche. Investors tend to run in the same direction at the same time, like a stampeding herd of cattle spooked by a coyote or lightening strike. The herd has no idea where they are headed, or even why they are running, but they all fear being isolated from the herd. Successful investors have learned to stick to their proven game plan despite the peer pressure of emulating what the herd is doing. A good team needs a good coach to properly devise and execute a winning strategy, just as serious family wealth grows best under the watchful eye of a skilled advisor. Reversion to the mean is a predictable phenomenon. With so many closely matched teams in the NFL, parity if you will, the days of the perennial dynasty are over. While we may fondly recall the great Cowboys, 49ers, Steelers or Packers teams of decades gone by, today’s league is characterized by annual unpredictable winners and losers. Last year’s loser is this year’s champion, and vice-versa. If you look closely at the long-term records of many hall of fame coaches, they often are not that far above .500. Investments typically revert to their long-run mean as well. When oil, gold, bonds or stocks have a stellar year or two, you can bet that below average returns are coming soon. The problem is these changes of fortune are not reliably predictable, despite the siren’s song any number of experts may sing. So where does that leave us? Are we to just “place our bets” and hope for a lucky streak? Of course not! There is a science to long-run investing. Asset allocation, the mix of commodities, stocks and bonds in your portfolio, must be strategically managed, diversified, and rebalanced with emotional detachment, discipline and professional judgment. This is the only long-run success strategy that is a proven winner. If you aren't currently obsessed with snow, like much of the country, chances are, you're thinking about taxes. We ran across a well-written article on the Yahoo! site today by Investopedia detailing what raises your risk of being audited. It is a quick read and must-have information for every taxpayer. The White House delivered its proposed 2010 budget to Capitol Hill by forklift, which was an interesting visual to say the least. The economy is slowly clawing its way back from the worst recession since the Great Depression, or at least since 1980-81, depending on the measures used to evaluate our current circumstance. Either way, the situation has been grim, but there are signs of life. The “green shoots” have sprouted into seedlings in various industry and geographic pockets in the United States, but I am far from declaring economic victory for the private sector. The proposed federal budget concerns me deeply. The Obama budget, if approved as submitted (which will never happen), sets a new standard for fiscal irresponsibility and governmental intrusion. Fully 25 percent of Gross Domestic Product, $3.4 trillion of spending, will come from Washington, DC – far more than during any year of Dubya’s presidency. In fact, the projected 2010 budget deficit of $1.4 trillion is 9-times higher than is was in 2007. Unbelievable! As a practicing economist and financial professional, I truly do understand the continued need for federal deficit spending, given tepid demand in the consumer sector. In particular, states from coast to coast are struggling with budget imbalances and are looking to federal injections to help solve their own budget woes. When the economy is mired in recession, Keynesian economists believe that the federal government can help mitigate conditions through deficit spending AND targeted tax cuts. The Obama administration has had no problem satisfying the deficit spending part of Keynesian expansionary policy, but tax cuts have been viewed as heretical and “not affordable,” according to the Democrats in power. I will set aside a discussion of tax policy for a future column, but I do have a few comments on the federal budget Obamination. At this moment, the National Debt of the United States of America stands at $12 trillion, $360 billion and some spare change. Our Debt-to-GDP ratio is 86.62 percent, thus if every dollar’s worth of goods and service produced in our great nation were funneled to pay down the national debt, it would take almost an entire year to retire it. This amounts to $40,051 per citizen, or more importantly, $113,113per taxpayer. The data is staggering, sad and outrageous. The federal budget is completely and apparently deliberately out of control. One can only hope that the House of Representatives has the will to take a meat cleaver to this budget Obamination. Is debt against Biblical principles? This past week, we posted a tweet on Twitter (our ID is @family_finances) having to do with debt. We received a reply from @questforsouls asking "yet debt, any debt is sin according to the bible! Is it smart to encourage debt?" First, let me clarify something. I don't necessarily encourage debt. I think that debt can be a better alternative, in some cases, than being cash poor. It's also necessary to build your credit score. For most people, it's a reality, and as I've always said, smart debt can be good. The key is distinguishing between smart and dumb debt. Smart debt: buying a home with a sensible loan. Dumb debt: credit cards. As a Christian, I also consider the morality of how we handle money to be a big part of what I do. I am re-posting this essay about the morality of money. I would really love to know what you think - so please post a comment if you have an opinion on this topic. Is there a morality of money? There’s no question about it. Money is a tool that can be used for good or evil. But, money isn’t the root of all evil; Paul tells us in Timothy that the love of money is the root of evil. In the hands of the wrong people, money can be very destructive. A different way of looking at things is that having more allows us to give more. I mean that. Many hospitals, colleges, and museums owe their existence to a wealthy family or families. The same with church buildings and outreach ministries. So, let’s agree that we should stay focused on matters of good purpose. Are there special problem areas or challenges? A huge area is the extra responsibility that comes with having extra money. In my business, I’ve been blessed with clients who understand this and take stewardship seriously. Yet, I’ve also seen horrible examples of waste that make me sick. Of course, people have a legal right to use their own money any way they choose. Yet, it bothers me to watch them squander it or use it on ridiculous excess. It bothers me in the same way it would bother me to watch someone burn hundred dollar bills. That money might have been used for good purpose. What kind of financial things offend you? On a large scale, I hate watching people waste an inheritance. With rare exceptions, wealth was created by somebody’s discipline and hard work. I think there’s a certain respect owed to the wealth’s creator, even if we didn’t particularly care for them or some of the things they did. Most times, the money can now be used for good things, say college expenses or to do something worthwhile in the world. ’m not against enjoying money, it just bothers me to watch it shrink through waste, abuse, or neglect. It’s a stewardship issue. Most states have enacted the Uniform Prudent Investor Act as law governing proper guidelines for investing someone else’s money. These rules are based on statistical principles of investing. It’s ridiculous – and irresponsible -- to ignore the evidence simply because it makes us uncomfortable. For many people who are out of work, or fear they soon will be, relocating seems to be the only way out. We ran across an interesting article from Money magazine that discusses the good and bad about relocating - great information for those out there still in the work-force. Each week, we take a question from a reader. This week's question concerns financial paperwork - much of which is coming as a flood into our mailboxes right now. If you have a question, please post it in the comments section. QUESTION: I spend most of January going through my files and pitching files I no longer need. But there are some financial records that I haven’t been able to bring myself to get rid of. I have statements from a credit union I had an account with 15 years ago. Do I need those? Do I need carbons from old checkbooks, or account statements for retirement accounts that have since been closed and merged with other accounts? How long do I keep this stuff? ANSWER FROM DAN DANFORD: Financial records are a common frustration. The main reasons to keep anything is to prove your tax return, or in the case of receipts, any warranties that apply to items you buy. After that, they have no real purpose except clutter for your kids to sort decades from now. The general rule on tax income and expense information is three years, and most product warranties expire long before that. In the case of credit union or bank statements, keep them for a few years to prove any claims to the IRS or manufacturers. Not much use beyond that. I also tell people to toss interim statements. Once you have the December 31 summary bank or brokerage statement, you likely don't need all the rest of that year. Shred it! Do not destroy confirmation statements for the purchase of stocks, securities or property. For many other tax purposes, historical cost is very important. You may sell something next year that you bought 20 years ago, and that will show up on your tax return. You'll need to prove that cost if you are ever audited. In our firm. we keep security records for our clients, so they don't have to. But, if you do-it-yourself, those cost records are important and you need to keep them. Among the worst I ever see, are long-term holdings in bond mutual funds where the monthly dividends are re-invested. Whew! Keep those annual statements until you sell the fund. Truthfully, we all keep more than we need and it clutters our life. Most couples don't give enough thought to how to integrate their finances. For someone who has gone through a divorce, this is probably something they think through quite a bit before remarrying - and it's far more complicated than two young folks getting married for the first time. On Dad's Divorce this week, Dan Danford discusses how to integrate two people's finances. You can watch the podcast below. Glass half full? Or half empty? The stock market is largely run on emotions. Are people feeling good? Great! They're buying, and stock prices go up. Are people scared, feeling depressed? That's bad - they don't buy. Analysts and other experts have weighed in lately on what companies are expected to do poorly and what will do well. We spotted an optimistic article this week by Motley Fool and we thought it was worthwhile to share it with you. Naturally, we aren't endorsing these stocks, and aren't telling you to go out and buy them. We're just passing along this information for our readers who like to talk specific stocks.